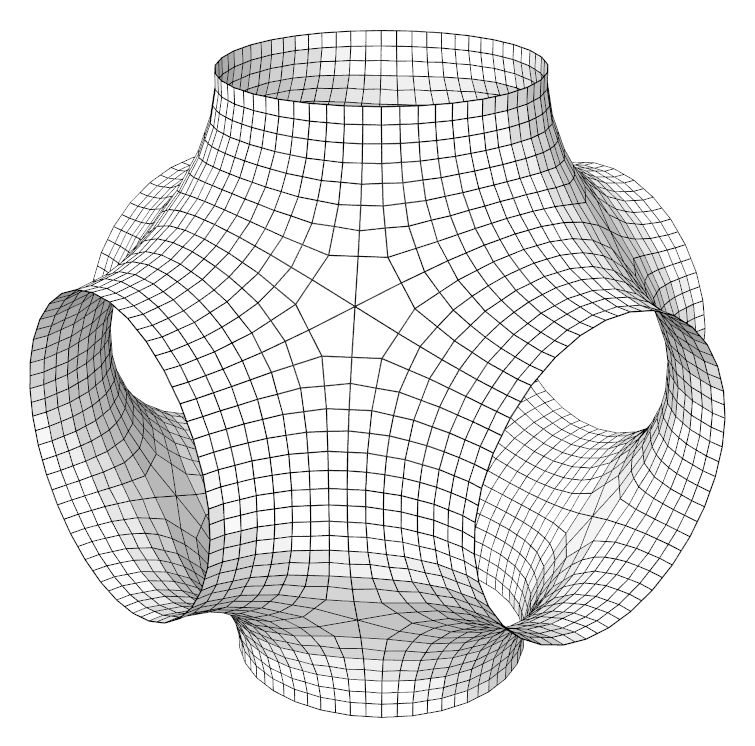 Alexander I. Bobenko, Ulrike Bücking, and Stefan Sechelmann, in Najman L., Romon P. (eds) Modern Approaches to Discrete Curvature. Lecture Notes in Mathematics, vol 2184. Springer, Cham, 2017. Alexander I. Bobenko, Stefan Sechelmann, and Boris Springborn. Discrete conformal maps: Boundary value problems, circle domains, Fuchsian and Schottky uniformization. 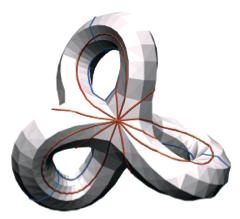 In A. I. Bobenko, editor, Advances in Discrete Differential Geometry. Springer, 2016. M. Joswig, M. Mehner, S. Sechelmann, J. Techter, and A.I. Bobenko. DGD Gallery: Storage, sharing, and publication of digital research data. In A. I. Bobenko, editor, Advances in Discrete Differential Geometry. Springer, 2016.
fied theory of discrete minimal surfaces. Alexander Bobenko, Nikolay Dimitrov, and Stefan Sechelmann. 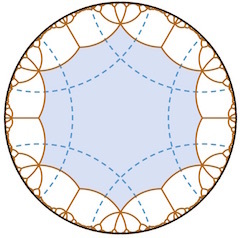 Stefan Sechelmann, Uniformization of discrete Riemann surfaces, Discrete Differential Geometry (Alexander I. Bobenko, Richard Kenyon, Peter Schröder, and Günter M. Ziegler, eds. ), vol. 9, Oberwolfach Reports, no. 3, European Mathematical Society, 2012, pp. 2105-2107. 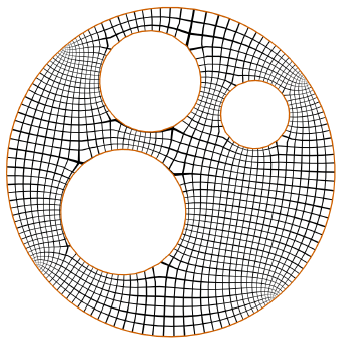 Topology Optimisation of Regular and Irregular Elastic Gridshells by means of a Non-linear Variational Method. A list of talks in chronological order. 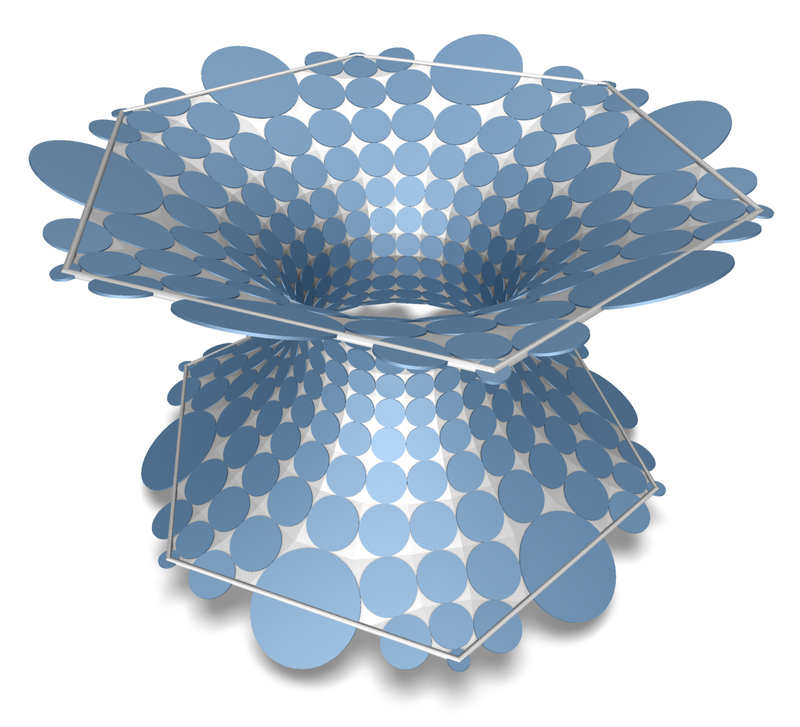 Riemann surfaces have been studied for a long time. Recently, the development of robust conformal mapping algorithms based on triangulaions has lead to significant interest in discrete versions of smooth theorems and constructions in the context of Riemann surfaces. 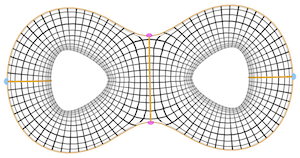 In this section I present a selection of images from my research on the topic of discrete Riemann surfaces. 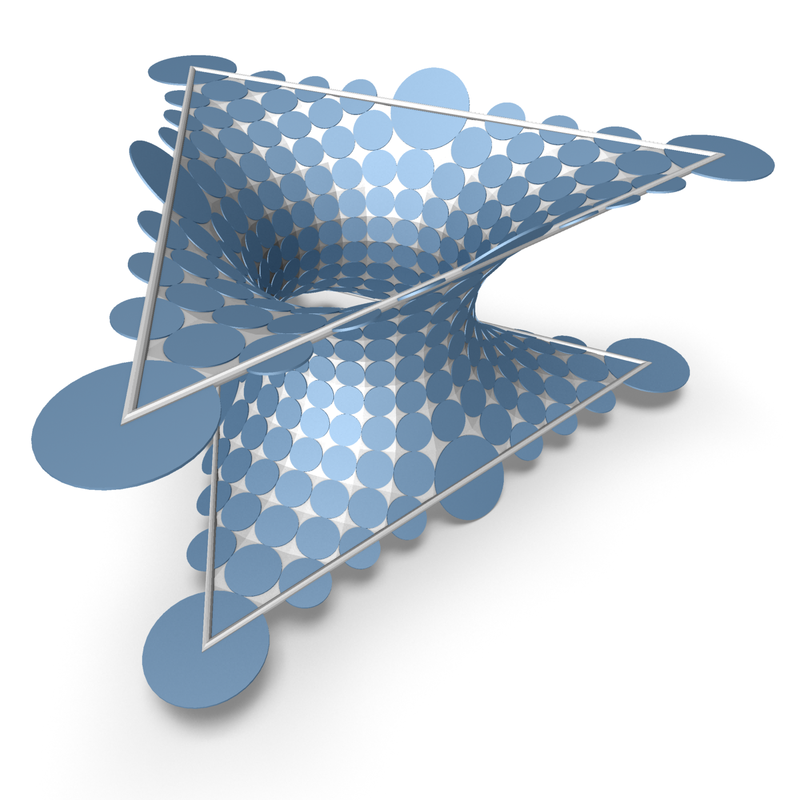 A Riemann surface can have quite different representations. 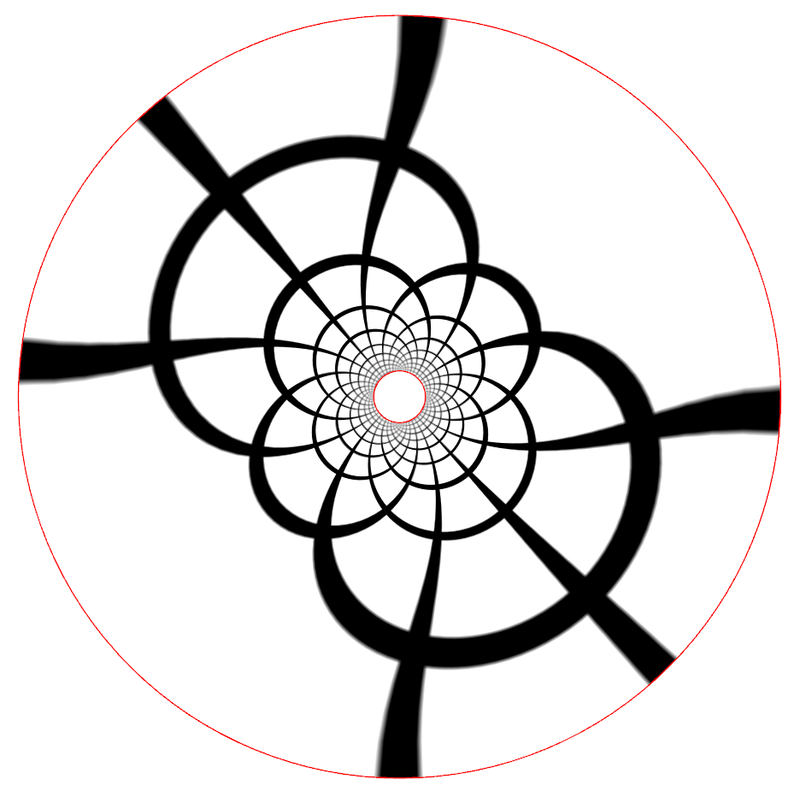 I consider three kinds of representations in my work: Embeddings in 3-space, algebraic curves, and quotient spaces of the Euclidean plane, the hyperbolic plane, and the Riemann sphere. The latter beeing uniformizations of Fuchsian type or schottky type respectively. 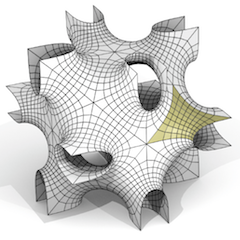 Most of the algorithms for the calculation with discrete Riemann surfaces are available online as part of the VaryLab project. 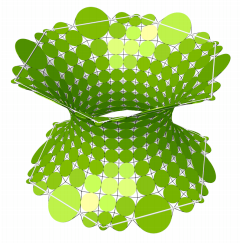 Fuchsian uniformization of the hyperelliptic curve $\mu^2=\lambda\cdot(\lambda^6-1)$. 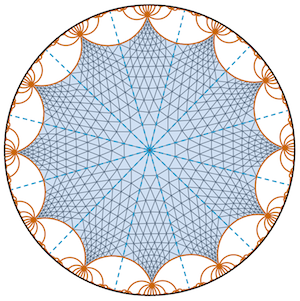 Riemann map of a slit square to the disk with circular boundary components. 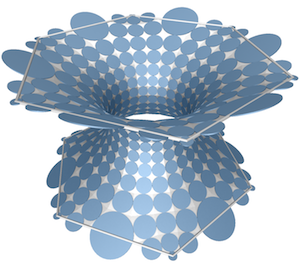 Uniformization of algebraic curve of Lawsons surface $\mu^2=\lambda^6-1$. 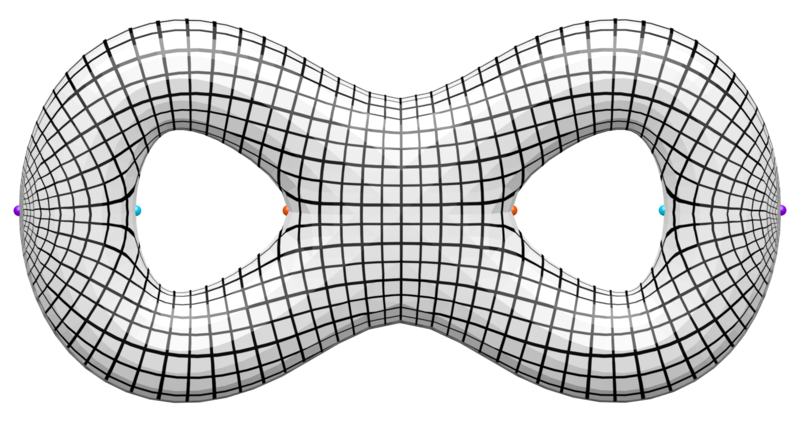 Algebraic curve of Lawsons surface. 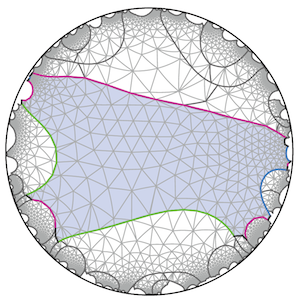 Boundary and identifications of a fundamental domain. 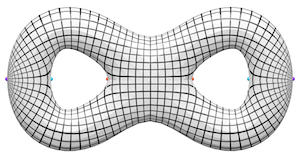 Schottky data for a genus 3 discrete Riemann surface. 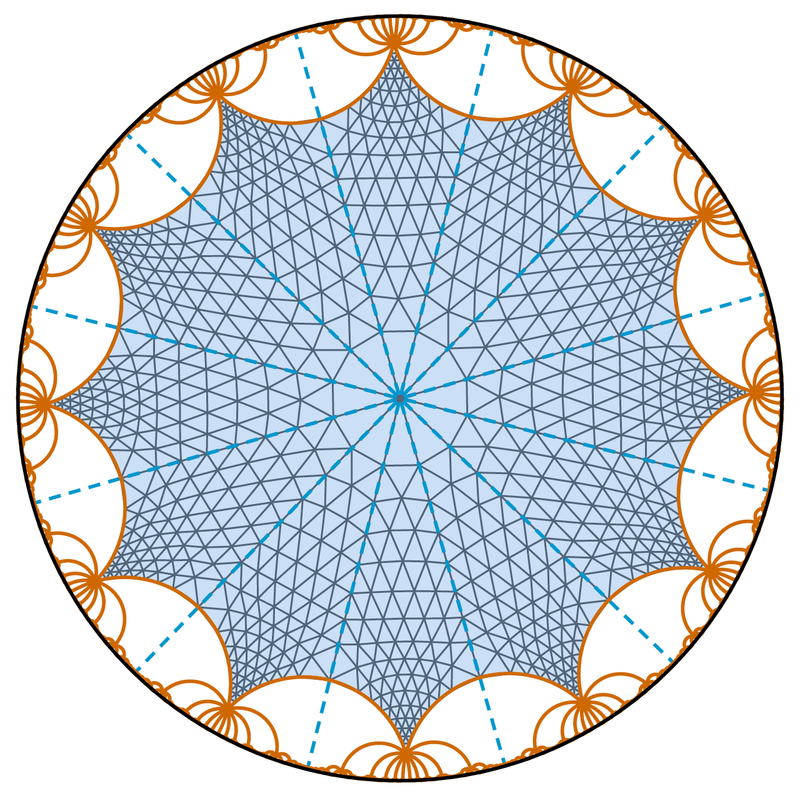 Fuchsian uniformization of genus 3 discrete Riemann surface given by Schottky data. 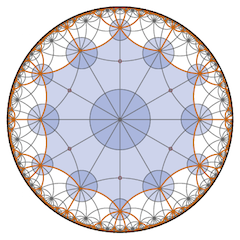 Symmetric uniformization of Lawsons surface $\mu^2=\lambda^6-1$. 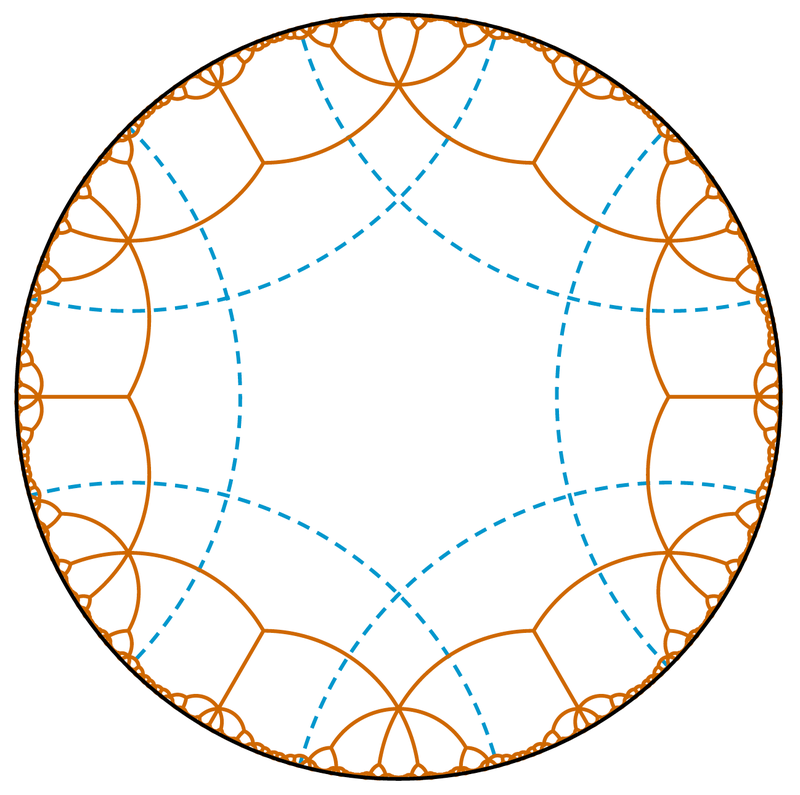 Euclidean uniformization of a genus 2 surface with translational periods. 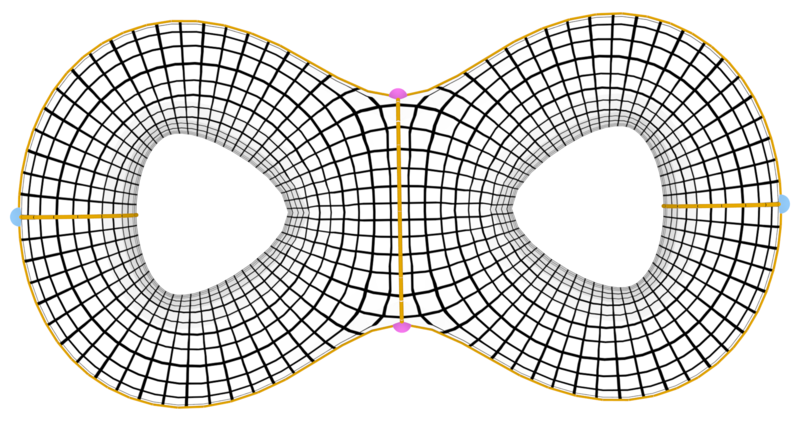 Map to the corresponding algebraic curve with 6 branch points. Mercator projection. 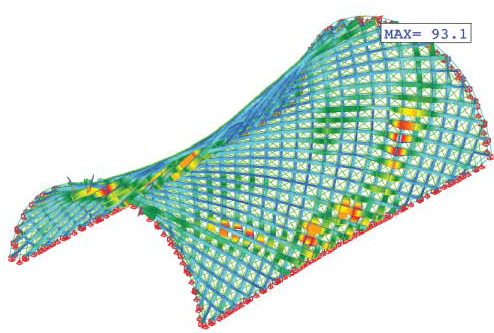 VaryLab is all about mesh optimization, we say discrete surface optimization. 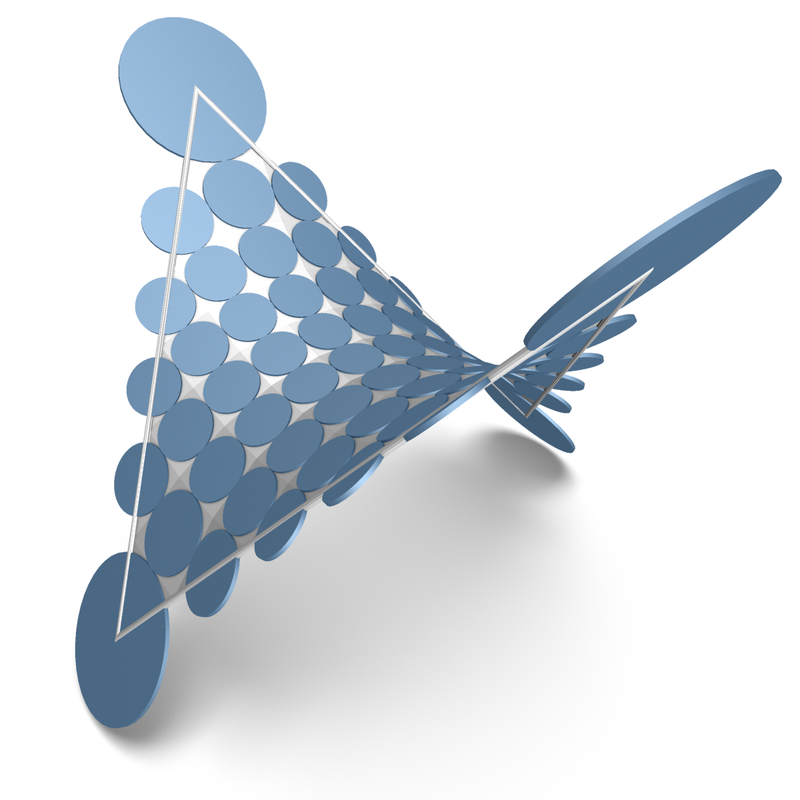 That means you can modify a given mesh to have minimal energy in a certain sense. 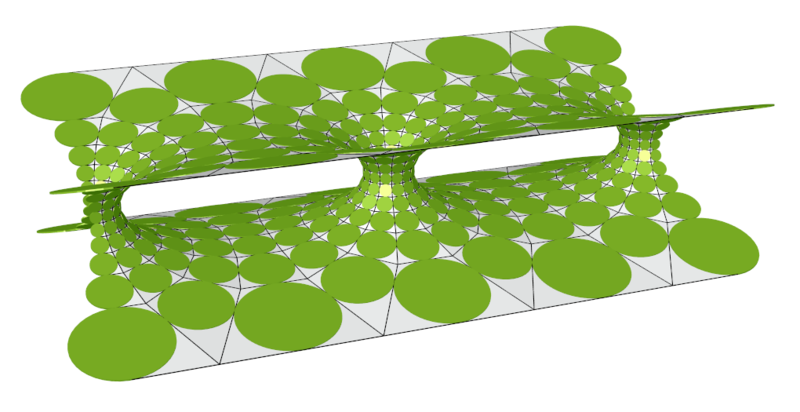 The energy in question is a combination of energies that are defined on the vertex positions of the input mesh. 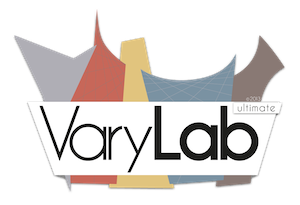 VaryLab implements various energies for discrete surfaces, e.g., planarity of faces, equal lengths of edges, curvature of parameter curves and many more. I work together with the people of www.interactive-scape.com to create multi-touch applications. jPETScTao is the name for a Java project, that tries to make a part of the functionality of two numeric libraries PETSc and Tao accessible for Java programs. It utilizes the JNI to achieve that. Discrete Minimal Surfaces This application calculates discrete minimal surfaces as described in my diploma thesis. The construction method follows the approach of Bobenko, Hoffmann, and Springborn. 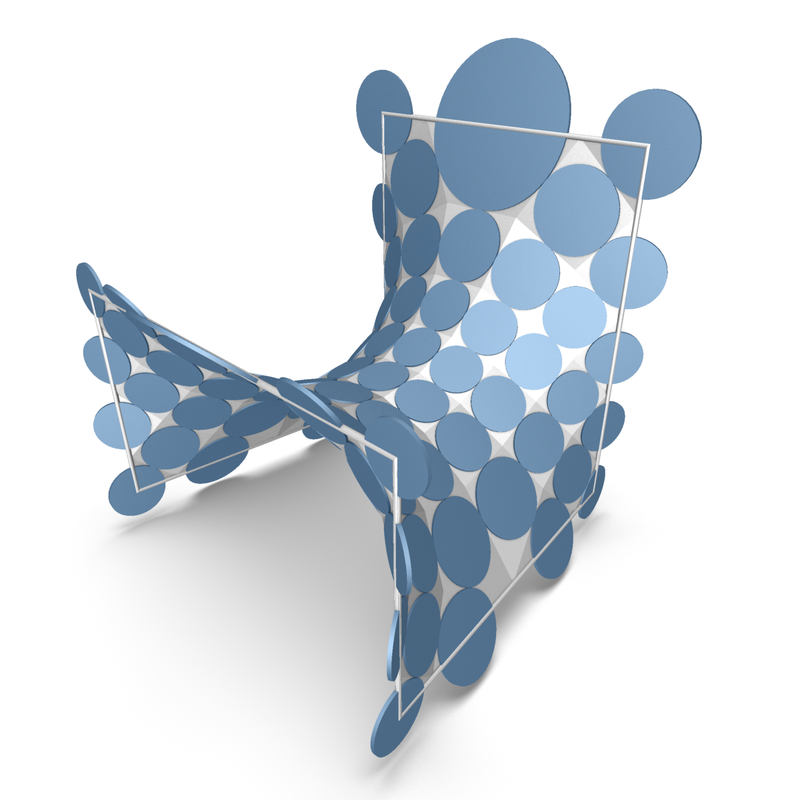 It uses the notion of discrete isothermic surfaces and their Cristoffel transform to define discrete minimal surfaces. 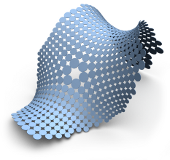 The program is able to create surfaces with planar boundary curvature lines. 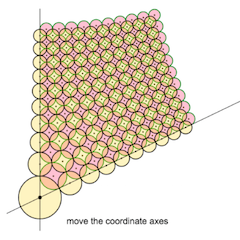 Alexandrov's Polyhedron In cooperation with Ivan Izmestiev I implemented an algorithm for constructing convex polyhedra with a given metric. The java webstart on the left is the main program which I used for testing and research purposes. Another polyhedron I created with the help of this tool is the Reuleaux Triangle Tetrahedron. 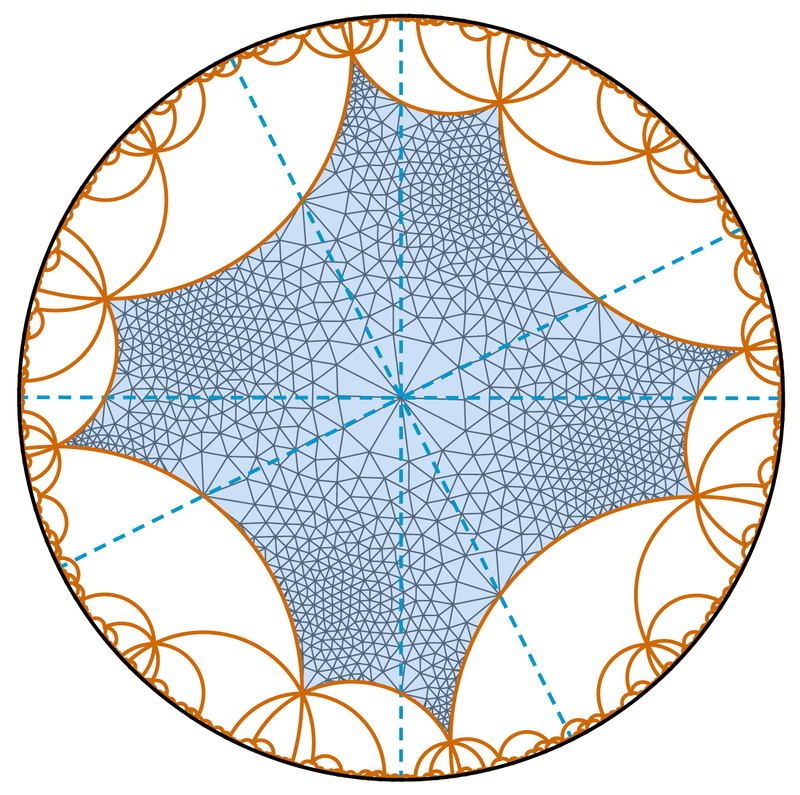 This is a Tetrahedron with curved sides which are Reuleaux Triangles. Those triangles get slighly bent to fit together. Koebe Polyhedron Editor Together with Boris Springborn I created a visualization tool for Koebe Polyhedra. Click the image to start a Java Webstart application. The left section is a graph designer. 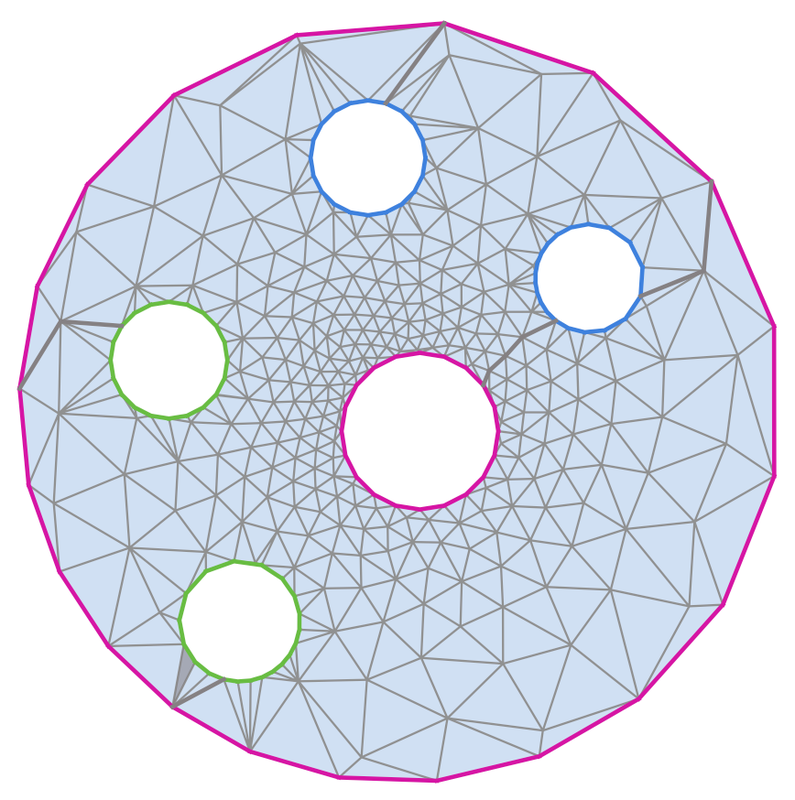 If the graph is 3-connected and enbedded the program calculates the corresponding polyhedron and displays a normalized representation in the righ section. 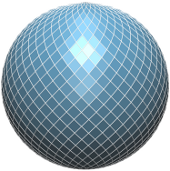 This is the first program I created for the geometry group. 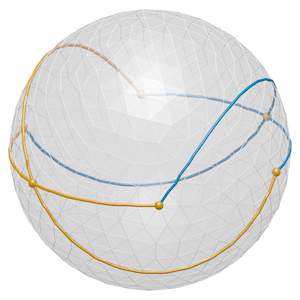 It contains numerical algorithms for nonlinear optimization of the convex functional involved. I use the MTJ library for linear solving and sparse matrix representation. The program is also part of my diploma thesis and is being described in detail in Chapter 1. Here I publish the piano recordings I'm doing for fun and at home. Feel free to download and listen. For recording I use a Seiler 132 Konzert and the software sample Ivory.